At the very heart of the martial practice of Hsing-i and its Five Elements, is Santi, or the “Trinity Posture.” Santi is done holding a static standing posture, with your arms extended. In the classic schools of Hsing-i, the posture is held in Pi Chuan, which is the first of the Five Elements. There is a common story about the best people in Hsing-i that says they were made to do Santi for between one and three years before being allowed to learn anything else. Many interpret this type of demand as a useless hazing process. However, this process of standing is the most foundational power training in Hsing-i, and without it, the training of the Five Elements and the animal forms could easily become nothing more than movements with minimal internal power. Aside from the martial aspects, Santi teaches how to make the mind calm and how to free it of accumulated stress. The process that Santi sets in motion for balance, health and healing is expanded and fulfilled in the Five Element practices. Santi uses a wide variety of breathing techniques. Breathing begins with regular, Taoist breath training, which emphasizes breathing from the lower belly, sides, kidneys, upper back and spine. Each level of breath practice must be stabilized before moving onto the next. Moving on to each new type of breathing requires the guidance of an experienced teacher who has been through the process, experienced its results and can recognize the nuances of how internal energy is developing in your body. The next state in Santi involves learning the various levels of reverse breathing and spinal breathing. The final stage of the Santi breath practices include the feeling of losing all sense of physical breath, even though your breathing processes are very strong. Santi develops your ability to root your energy and create and/or strengthen balance in your legs. 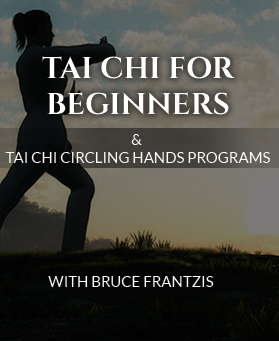 As the methods for dropping your chi (qi) to your lower tantien are learned, your body (regardless of shape or weight) will seem to feel heavier and heavier to someone’s touch. 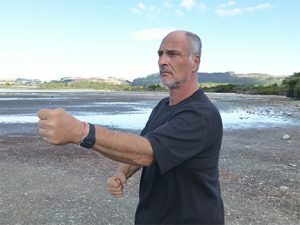 When the sinking of the chi and all the other grounding techniques are accomplished, your body progressively becomes exceedingly stable, whether hit from the front, side or back. In Santi, as your leg an hip flexibility grow, you become able to raise and lower your stance effortlessly. The internal methods for developing power in the legs come next. Then, Santi techniques are learned for joining your leg, waist and spine into one inseparable whole, with no energetic gaps or physical weakness in their unified power. Finally, in Santi, as your legs and waist are trained to turn horizontally and rotate like a smoothly oiled wheel, where the power of each amplifies the other. When the “oiling” is complete in Santi, your waist is able to turn extremely rapidly, to both the left and right, whether you are front or back-weighted. The next phase in Santi is infusing both attack-oriented and defensive power into your arms, from the shoulders to the fingertips, with the initial focus being on the elbows, forearms and hands. To train for this power, you first learn to relax your arms and lengthen all the soft tissues in your body from your spine to your arms. Next in Santi, the chi flow from your spine to your fingertips must become continuous and without gaps. This flow must become powerful until the chi in your palms and fingertips becomes full and extremely tangible, bringing with it a strong blood flow. Then stronger the blood flow to your fingers, the softer and more full your hand should feel. The next stage of Santi and the arms focuses on bringing downward vertical power into the elbows. After elbow strength increases and your arms become heavy, the focus shifts to developing the ability of your hand to absorb energy back to your spine. After all the above are accomplished, the intent shifts to making the skin on your arms become extremely sensitive to the subtleties of air pressure. Finally, in Santi and the arms, through various forms of mind intent, you learn to absorb and to project power from your hands using various internal techniques, such as openings and closings and twisting. Another major goal of santi is to connect your physical body into a unified whole. Such unification allows the movement of any small part of your arms or legs to be fully backed up by the whole of your body, thereby amplifying the power of the small parts significantly. Hsing-i focuses on the six external combinations (called liu he in Chinese). These six are the shoulder and the hip, the elbow and the knee, and the hand and the foot. 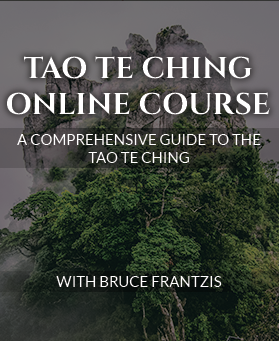 Along with the internal alignments and the six combinations, Hsing-i lifts, sinks and rounds the body in ways that are similar to bagua and tai chi. The next stage of Santi involves unifying your mind with the gaze of your eyes and your awareness. 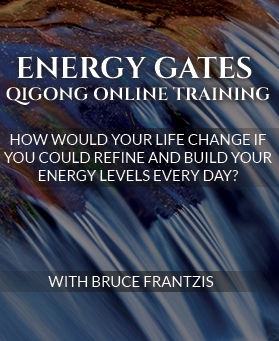 The object here is to fuse your physical power, chi, mind and perceptions into one unified entity. This training is done by fixing your gaze on the index or middle finger of your lead hand. This gazing technique sensitizes the mind, making it alive and calm with a relaxed concentration, the same state that comes from doing the “tradak” candle-staring exercises in yoga. When practiced sufficiently, this technique leads to an expansion of the mind so that it can link directly to the central nervous system, allowing you to feel the chi of your body with great clarity.